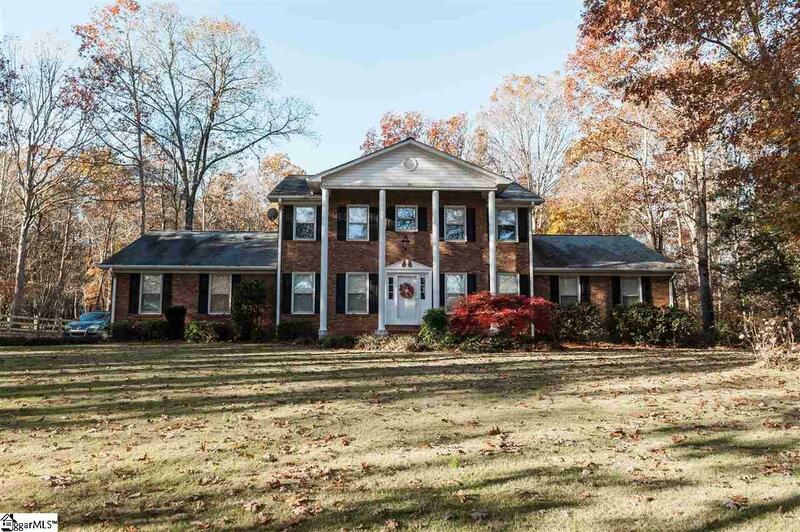 This 5 BR/3.5 BA brick colonial comes with 3.43 acres. Though it's location provides very easy access to (2) interstates and shopping, it nestles within its own beautiful wooded setting to provide a serenity that must be experienced to appreciate. The low maintenance landscaping with easy care zoysia grass in front and back blends easily with the surrounding shade from tall trees. Fenced back yard includes large deck with built in seating for easy outdoor enjoyment. Large living room, dining room, den with FP, kitchen, large utility room and large MBR are all on first floor. 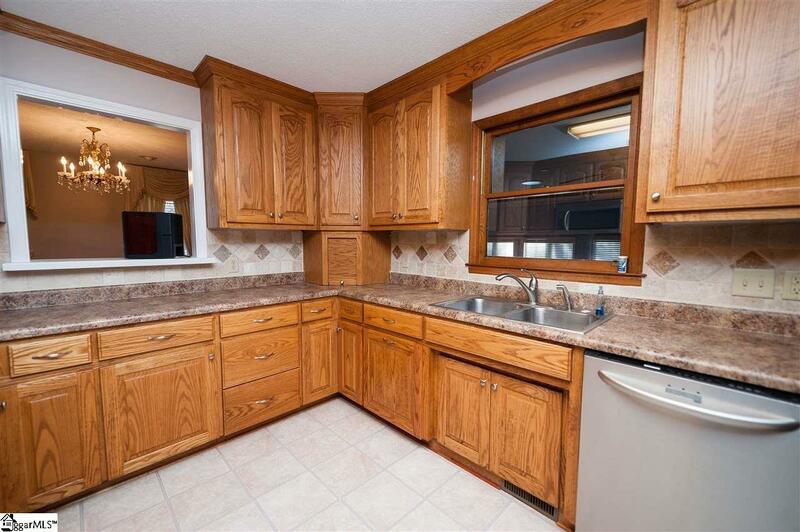 The kitchen which features oak cabinets with modern upgrades including appliance garages, deep drawers, lazy Susans is situated with a breakfast area and just off the den. Master bedroom claims two walk-in closets (one with heated floors) and the master bath also boasts heated floors, custom tile garden tub, double vanities, and double shower. Two sun tunnels in the master area bring in natural sunlight. 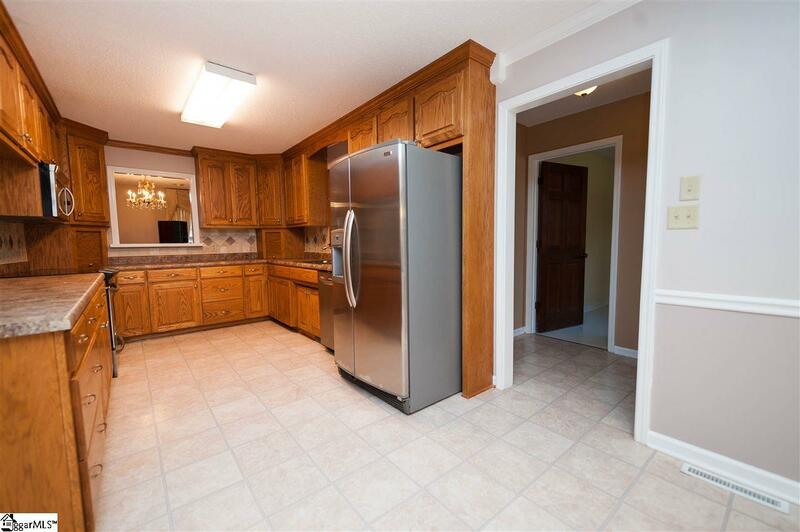 Upstairs you will find four large bedrooms all with large closets as well as two full baths. Large swim spa in enclosed garage area (which is heated and cooled but not included in square footage) provides year round access to at home water aerobics and soothing hot tub. 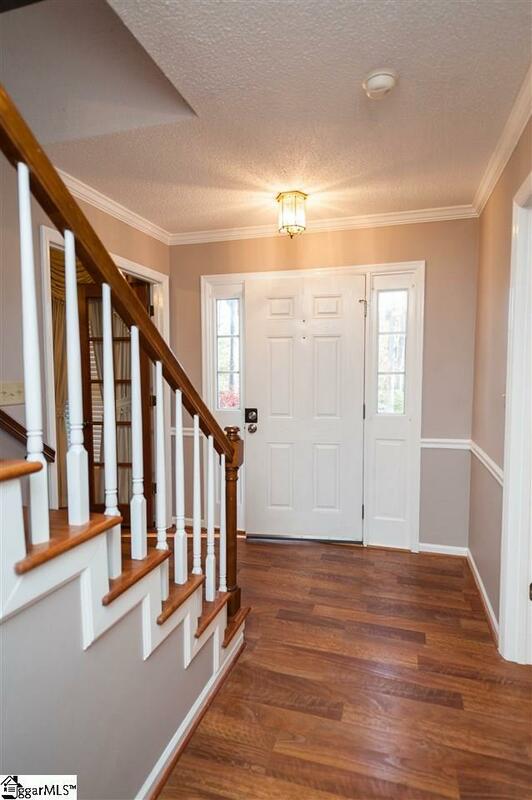 House is freshly painted throughout with custom blinds and window treatments making it move in ready. Additional 24'x30' building in back of house has a 10' overhang and is insulated, heated and cooledperfect for garage, shop, mancave or teenage recreation area. House has well water in the home and city water for irrigation system. Listing provided courtesy of Dianne Wofford of Better Homes & Gardens Young &.